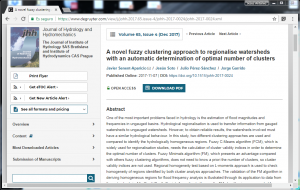 Otra artículo que nos publican: A novel fuzzy clustering approach to regionalise watersheds with an automatic determination of optimal number of clusters. 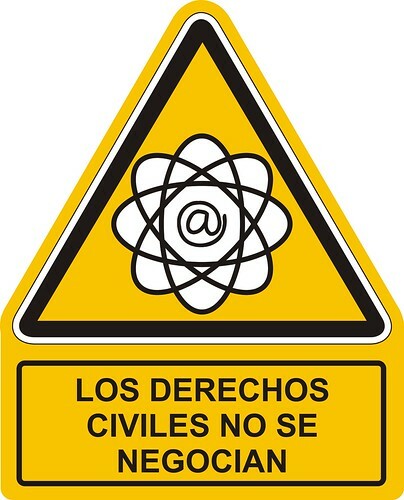 Una nueva aplicación de los algoritmos de clasificación difusa. One of the most important problems faced in hydrology is the estimation of flood magnitudes and frequencies in ungauged basins. Hydrological regionalisation is used to transfer information from gauged watersheds to ungauged watersheds. 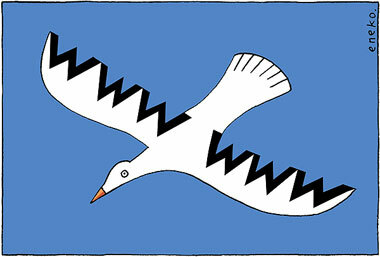 However, to obtain reliable results, the watersheds involved must have a similar hydrological behaviour. In this study, two different clustering approaches are used and compared to identify the hydrologically homogeneous regions. Fuzzy C-Means algorithm (FCM), which is widely used for regionalisation studies, needs the calculation of cluster validity indices in order to determine the optimal number of clusters. Fuzzy Minimals algorithm (FM), which presents an advantage compared with others fuzzy clustering algorithms, does not need to know a priori the number of clusters, so cluster validity indices are not used. Regional homogeneity test based on L-moments approach is used to check homogeneity of regions identified by both cluster analysis approaches. The validation of the FM algorithm in deriving homogeneous regions for flood frequency analysis is illustrated through its application to data from the watersheds in Alto Genil (South Spain). According to the results, FM algorithm is recommended for identifying the hydrologically homogeneous regions for regional frequency analysis.